I was running short on time this weekend due to a minor problem. Unfortunately, my PlayStation 3 seems to be on its last leg and probably won’t work much longer, at least with any games. I ended up spending the day transferring the files from my old PlayStation 3 to my new one, with the help of my brother, so I went with an easy one this week. The first page of the week I posted was about the Death Star Exhaust Shaft being far more complicated in the activity than in the movie and now I know why. 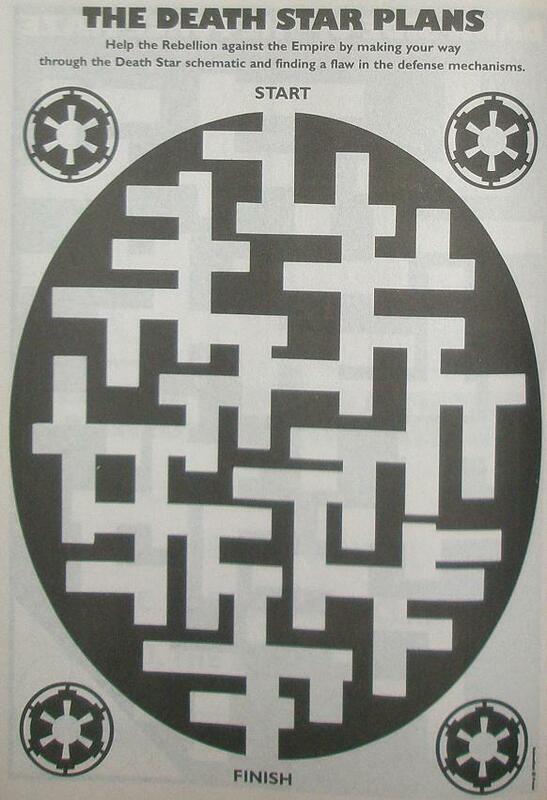 Check out this Death Star plans maze. 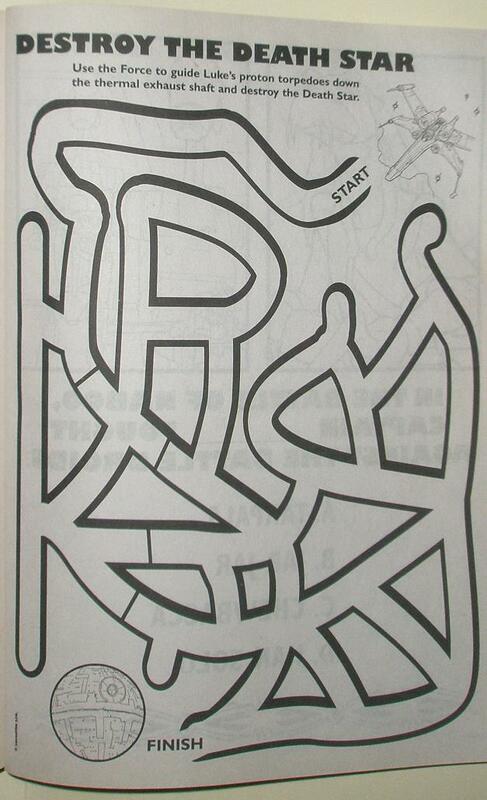 Basically, you don’t even hit the middle of the maze and successful completion of the maze has you going “in one ear and out the other” so to speak. It’s no wonder the Death Star Exhaust shaft was interpreted the way it was by the rebel intelligence guys. I doubt Luke would have stopped the Death Star there under these conditions, but if he did, Darth Vader would have the unfortunate task of telling the Emperor.